Thoroughbred racehorses are among the world’s top athletes and have plenty to offer equestrians — even when they retire from racing. Santa Anita Park frequently works with CARMA to transition horses from the racetrack to fulfilling second careers or adoption for retirement. 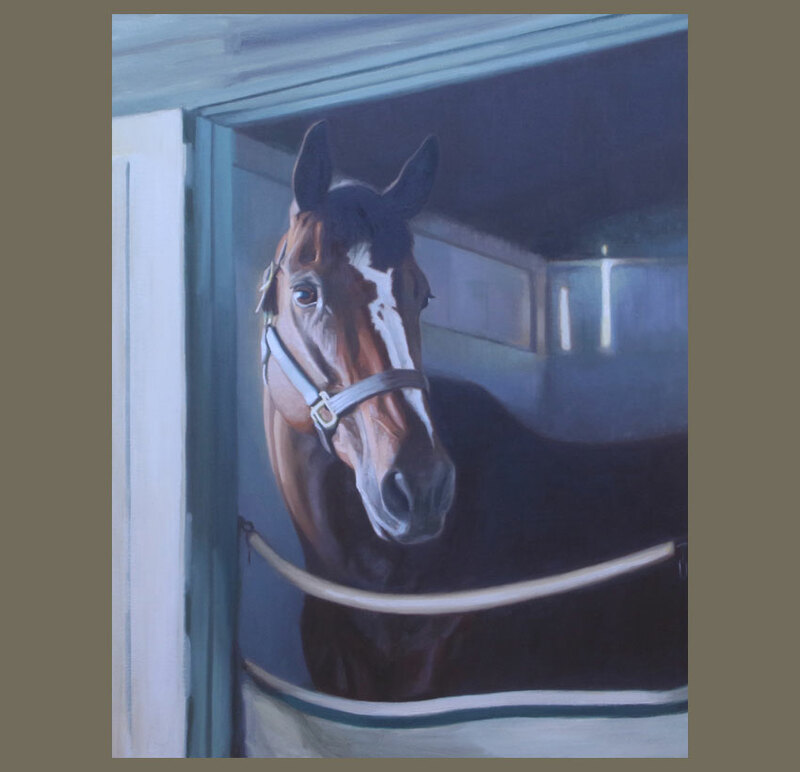 This painting was featured in the California Art Club show, The Majesty of the Great Race Place, held at Santa Anita Park in Arcadia, CA, which ran September 29–October 22, 2016. 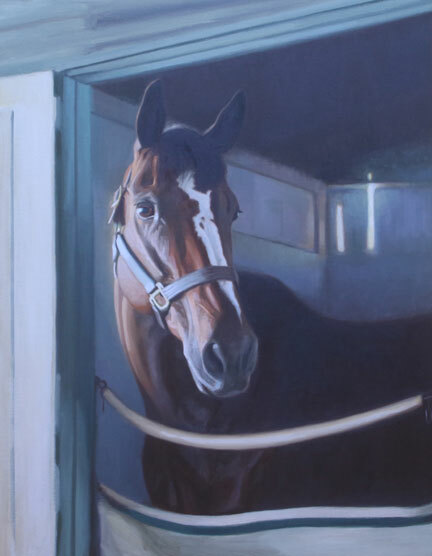 The purpose of this show was to benefit the California Retirement Management Account (CARMA), a nonprofit organization dedicated to providing funding for the rehabilitation, retraining, and retirement of California racehorses. Members of the California Art Club, including Cathey Cadieux, contributed artwork to this effort. For details, please see the Press page.